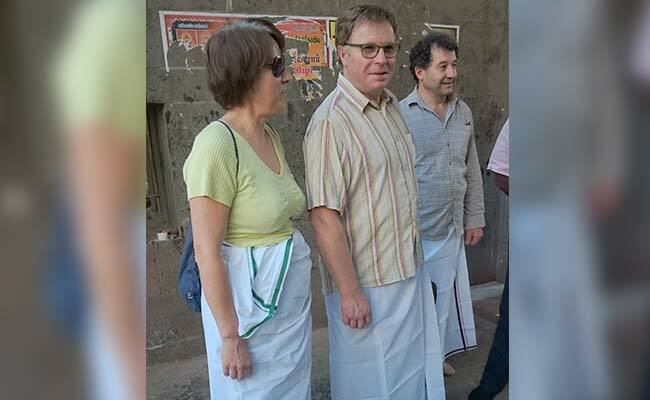 Can Women Enter Padmanabhaswamy Temple wearing Churidar? The jokers who protest about women entering Sree Padmanabhaswamy temple wearing churidar is really concerned about their business of renting mundu that would be draped around the churidar. The people who work at the temple are still at the hangover of colonial British Raj when some Kings misruled travancore under the behest of the Europeans. The temple is one of the religious business centers with highest parking fees and arrogant behaviour of raja loving temple employees from my experience of visiting there in 2001. Churidar is the popular indian dress that is now used by women in Kerala. If you have any objection, stop gazing at the women wearing churidar in the temple. There is no rationale behind this idea of banning woman in churidars.